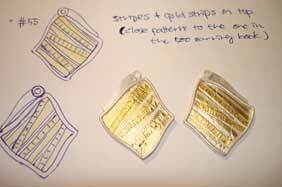 Want a more comprehensive immersion into the field of jewelry fabrication? Come apprentice with German goldsmith Birgit Kupke-Peyla . The european tradition is to commit to work for a master to learn the trade from the ground up. You become an integral part of daily operations in the studio. 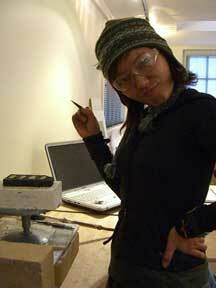 Immersion into the field of jewelry fabrication requires some dedication. I strive to build the creative environment, that produces a creative state of mind. The studio focuses on small production. Repetition and assembly are a core ingredients of daily work, however proto typing and new product development are constant requirements to keep the work looking fresh. Expect me to be enthusiastically demanding. My intention is to coach greatness out of the people I work with. “I love to tweak and hit new standards," and "I love finding that extra something that makes it more engaging."